Acne Studios unites innovative jeans styles with a versatile wardrobe for men and women, ranging from basic cotton T-shirts, to tailored jackets to luxurious accessories and shoes. While every collection forms a concept, each piece can be worn separately and effortlessly be mixed with other brands. By designing simple, functional clothes Acne aims to create a modern framework for individuality.Founded in Stockholm 1996, Acne's ambition was to create and develop their own products as well as helping other people to build their brands. This ambition led to numerous assignments in advertising, graphic design, Internet games and TV production. 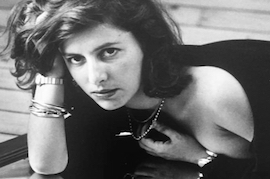 As a part of the creative collective ACNE, Acne started in 1997 when the company designed 100 pairs of jeans distributed to friends, family and clients. Soon, several stores and boutiques wanted to carry the line, much to do with the characteristic bright-red stitching on raw denim. From these humble beginnings Acne has developed into a renowned jeans brand.The first 'real' collection was launched in 1998. Since then Acne Creative Director Jonny Johansson has worked with a skilful design team to create a strong identity for the brand.In 2003 the company opened their first Acne Studios in PK-huset in central Stockholm. The second studio opened in Copenhagen in December the following year. And three more opened in 2005, a second in both Stockholm and Copenhagen, and the first German studio opened in Mitte Berlin.The label is also represented through more than 450 retailers around the world. Among the well-known stores that carry the collections are Colette in Paris, Selfridges, and Brown’s Focus in London, Louis in Antwerp, Quartier 206 in Berlin, Barneys in New York and Lane Crawford in Hong. In 2000 ACNE STUDIOS received Swedish ELLE's 'Designer of the Year' award. The company won the Café Magazine fashion award in 2003, and received Damernas Värld's design award 'Guldknappen' in 2004. The same year Acne was received ELLE’s Denim Designer of the Year award. 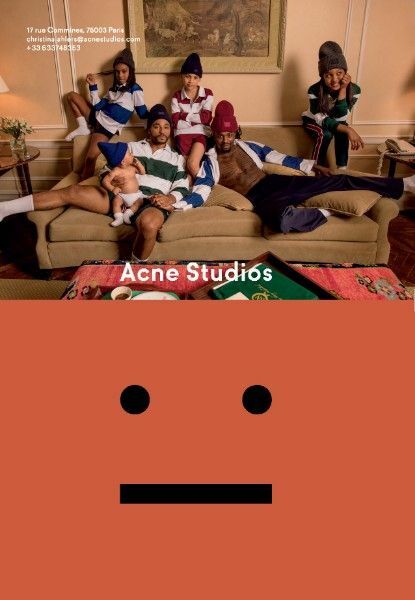 Acne Studios is today recognized internationally as a creative collective, unique for its corporate diversity such as fashion design, graphic design, film production and advertising, as well as product, business and concept development.